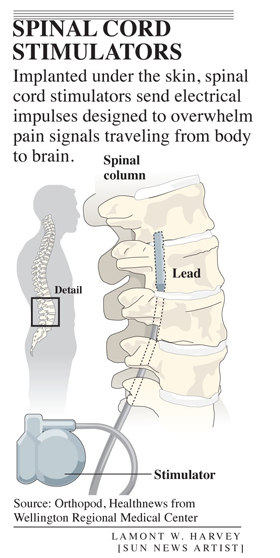 Below is a series of medical graphics I completed for various publications. Medical graphics are among the most enjoyable to render, the topic is challenging but straightforward at the same time. Experts and reporters often have multiple sensible changes, but know what they want. 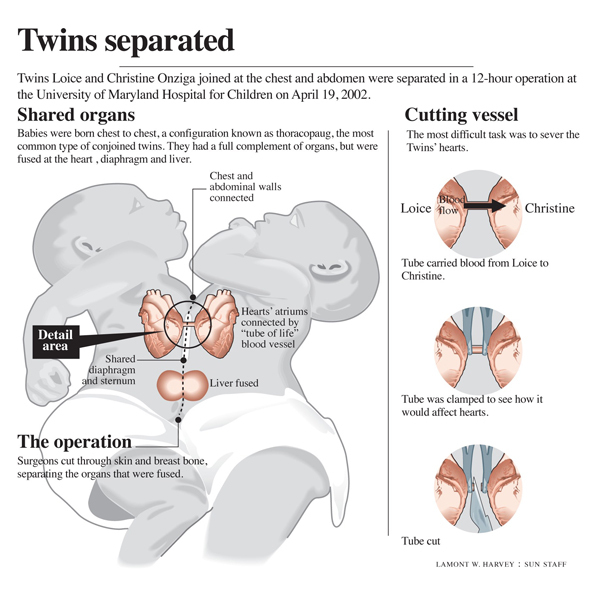 I was required to attend a press conference at University of Maryland Hospital on the separation of conjoined twins for this graphic. The conference itself was a challenge as there were numerous reporters who in spite of their pleasant approach were extremely agressive and experienced in interrupting to ensure their questions took priority. Unfortunately, most of the reporters were more interested in asking family members "how did this make you FEEL" in as many different ways as possible. As an informational artist the most important omission in the initial presentation was the proceedure of separating the fused liver. It was a simple matter of cutting it, nothing complicated, but they had skipped over it in favor of discussing the more difficult porcess of severing a shared heart vessel. 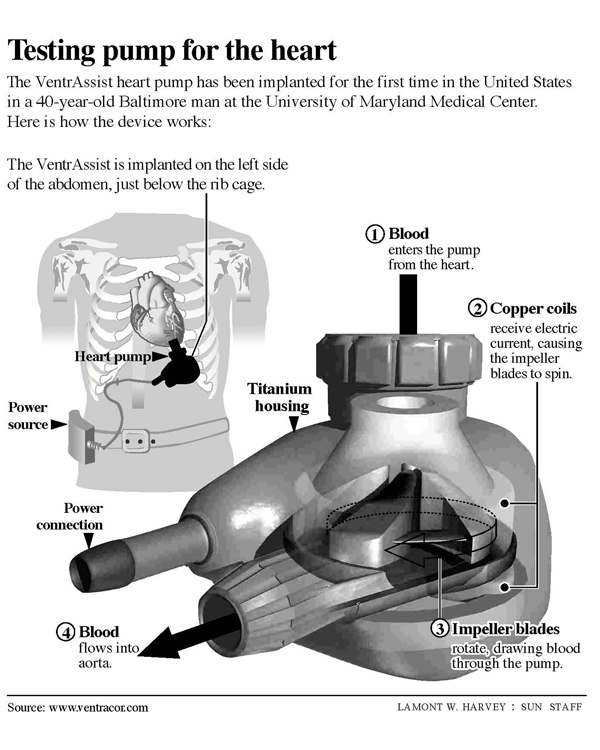 The heart pump I rendered below was the first devise I modelled in a 3D program, LightWave. Unfortunately it was run in black and white. I have a color version on file somewhere. 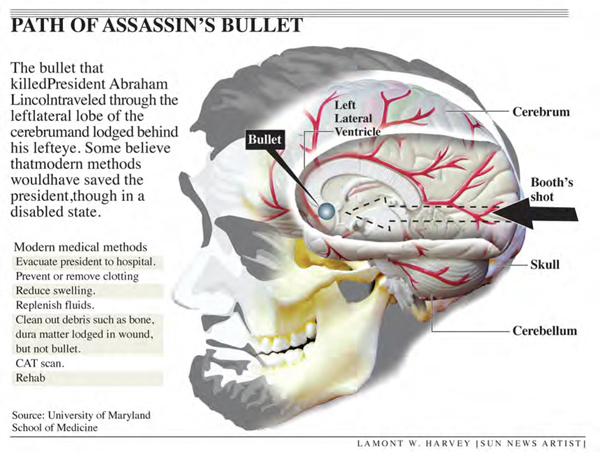 Could modern medicine have saved Abraham Lincon from his head wound? I remember the graphics editor rolling his eys at a "what if" graphic when I picked up this assignment, but as an historian I jumped at the chance to do the graphic. This is mostly a photoshop treament with the text set up in Illustrator. The skull and the brain model were pictures shot at the University of Maryland School of Medicine. Medical graphics often came with tight deadlines and required a few changes after doctors or experts reviewed them. Most were done in Illustrator which made changes easy. 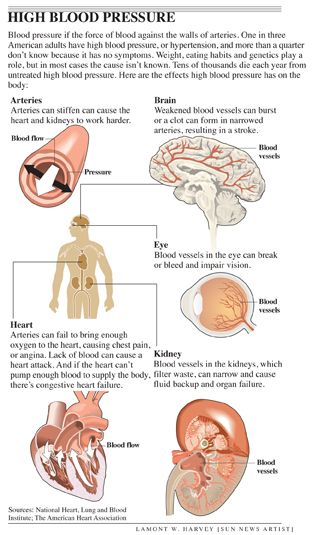 The blood pressure graphic combined images of numerous organs. 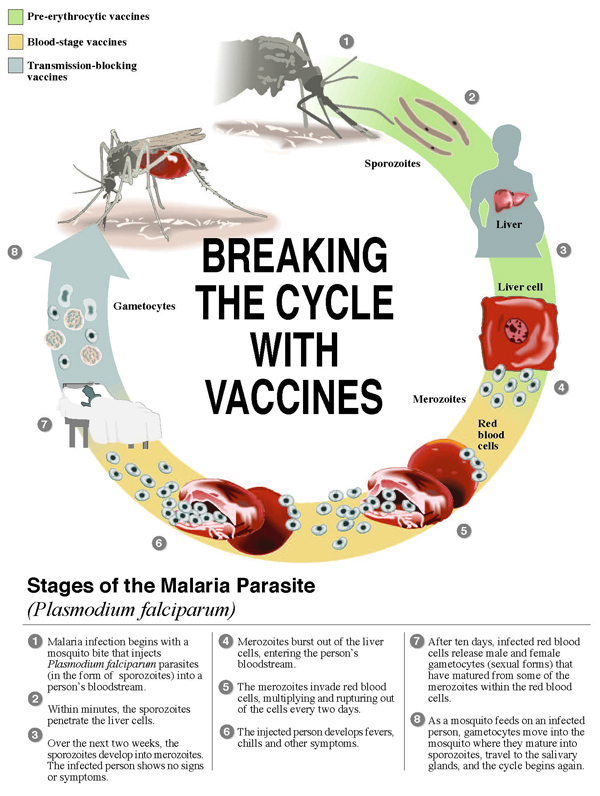 This free lance job from the Malaria Vaccine Initiative required lots of small adjustments as it was designed to reach people in third world countries who did not speak English as a first language. They changed the gender of the person in image three from a man to a pregnant woman, they also wanted more or less Merzoites depending on the stage. Nerve pain in cancer patients has its own periodical Topics in Pain Management. This is my most recent graphic done in Illustrator.